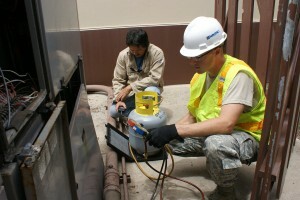 Perform monthly HVAC filter inspection (and replacement). Regularly check the gas furnace and keep range hood filter clean. Make sure fire extinguishers and smoke detectors are properly working. Refrigerator coils should be vacuum cleaned regularly. Click here to learn more about these tasks.